When Hung Wending and Brother Biu defeat Priest White Eyebrows, the White Lotus Clan comes out for revenge. 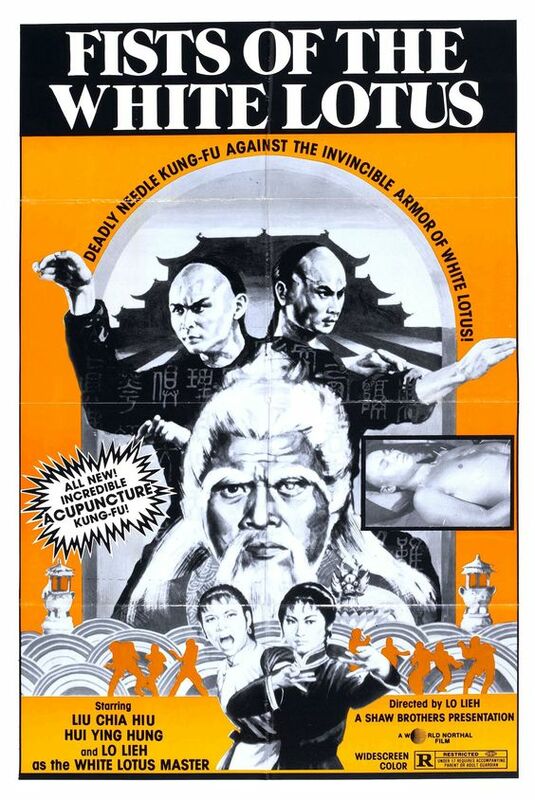 When Shaolin monks are released from captivity, Ko Chun Chung and the master White Lotus Priest slaughter them and turn towards Ting and Biu. Wending and his pregnant sister-in-law flee the battle to fight another day. The next day comes but Wending’s crane and tiger style is clearly no match for the White Lotus Priest – and no matter how much he practices on the hapless Brother Shing, it is not getting better. Once her baby is born, his sister-in-law teaches him some unusual techniques to try to refine his skills to be capable of winning. The opening battle of this film confused me a little bit, until I realized that it was more or less picking up from the end of Hong Xi Guan (Executioner from Shaolin). From here we get a plot which is fairly generic in terms of its details – a boss villain of great power, and a man who will train to defeat him, leading to a big final battle at the end. In this way the film does just what it does and there is not really much in the way of story beyond the tickboxes it goes through. What makes it good though is that there is a good sense of humor throughout. It takes a minute to get to, but once Brother Shing is in the film, it gets consistently very funny – both in his performance but also the way that Wending embraces the more feminine style of kung-fu. Between these two factors it is quite amusing. The action is mostly good, although having watched a lot of films using weapons recently, I did miss this aspect of it since most of this is hand-to-hand. I also am not a fan of the whole ‘retractable groin’ thing – I remember it from the previous film and, although it is used less here, it is still in the character. Generally though the performances of Liu and Lo are both very good, playing off one another well. I was perhaps not as taken by the action as I would have liked, but it is done with a certain amount of fun, while the majority of the film does have frequent laughs and chuckles, making it an entertaining if slightly silly affair.